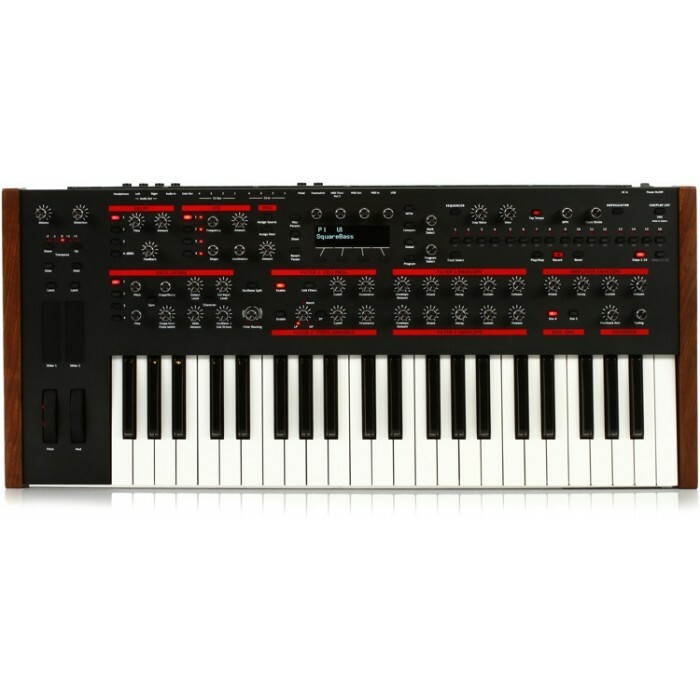 To say that the Dave Smith Instruments Pro 2 is a monosynth based on the Prophet 12 would be selling this remarkable synthesizer short - yet you can't deny that benefits greatly by borrowing from its big brother, especially where its overall playability is concerned. The first thing about the Pro 2 that struck the synth nuts here at Sweetwater was how easy it is to get around, but diving into its controls, we discovered a world of new possibilities. Highlights include a 32-step/16-track step sequencer, dual vintage analog filters, and loads of CV connectivity. 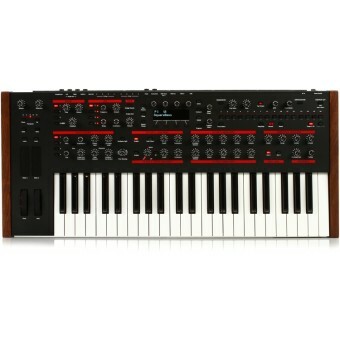 And, of course, you'll find tons of hands-on controls and modulation options on the Pro2. Keep reading to find out why we're so excited about this monosynth. There's one really good reason to put digital signal processing in an otherwise analog synth, and that's to accomplish something your simply can't do in the analog domain. The Pro 2 gets this 100% right. Its four DSP-driven oscillators include complex waveforms, including 13 Superwaves, providing you with an incredible palette of sounds, and selectable noise colors, hard sync, slop, and individual glide controls just add icing on the cake. True 4-voice paraphonic mode lets you play chords, without giving up the advantages of a monosynth, and you can beef up your base tone with a dedicated sine wave suboscillator. The Pro 2 also comes packed with five high-quality Character Effects, including Girth and Air shelving EQs with harmonics, Hack and Decimate bit-reduction distortion, and Drive soft saturation. Tuned feedback takes your tone over the top, and four delay lines (the last of which is a sweet digital bucket-brigade delay) let you add dimension to your sound. Beyond the Pro 2's Character Effects section, the whole signal path is totally analog. The vintage filter section includes a Dave Smith Instruments classic 4-pole resonant analog lowpass filter inspired by the original Prophet-5, which is followed by a 2-pole state-variable (lowpass/highpass/band pass/notch) filter inspired by the Oberheim SEM. Each filter has a dedicated envelope, as does the VCA. There are two additional envelopes and four syncable LFOs (along with 44 additional mod sources) you can freely assign to 140 destinations via the epically powerful modulation matrix. Last but not least, a beautiful analog distortion effect lets you dirty up your Pro 2's overall tone. We've already touched on the MASSIVELY COOL 16 x 2 modulation matrix, with its 50+ mod sources and 140+ destinations (including the 4 x 4 CV I/O), now, check out what you can do with it. Onboard the Pro 2 is one of the most flexible step sequencers we've ever seen. It gives you up to 32 steps per sequence, and 16 tracks to play with. 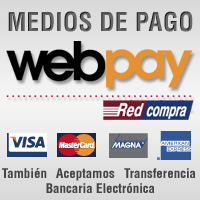 Record real-time inputs, rests, and variable-length phrases, then clock the whole thing to MIDI or CV input. Best of all, the sequencer lets you control not just oscillator pitch, but any parameter available to the modulation matrix. Top it off with a sophisticated arpeggiator, and you've really got to hand it to the guys at Dave Smith Instruments, the Pro 2 is an astounding little synth. 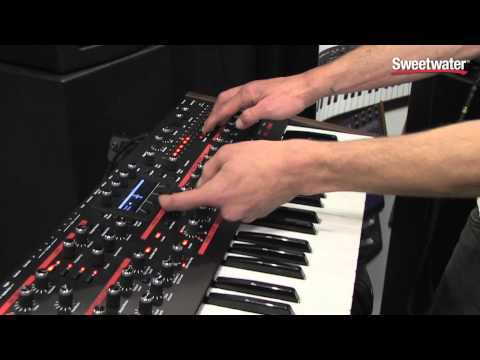 You haven't heard what a synthesizer can do till you play a Dave Smith Instruments Pro 2! 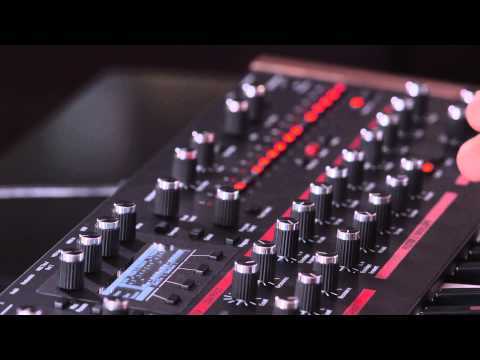 OVERVIEW The first true analog drum machine for 2011 and beyond! The Tempest by Dave Smi..
OVERVIEW The Prophet-6 is Dave Smith' tribute to the poly synth that started it all”the Seque..